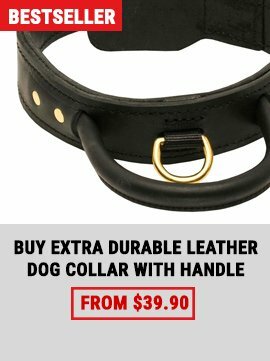 Collars made of leather are always considered the best choice for walking with the dog: they look expensive, service long and bring more comfort during wearing. 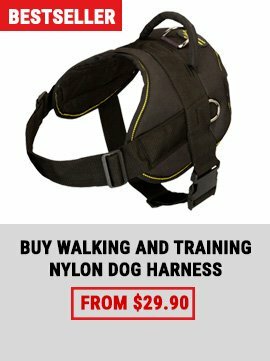 So, try to find an ideal collar for your Great Dane in our store, which offers a great variety of reliable handling tools. 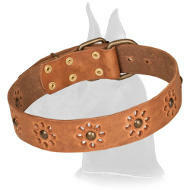 Only 100% natural leather was carefully selected to create the products of excellent quality. 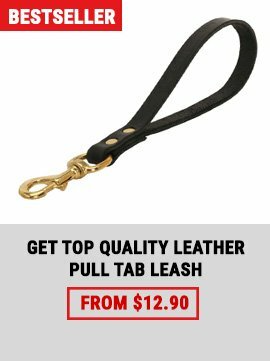 Strong nickel or brass plated steel, used for the manufacturing of the fittings, does not rust or corrode. 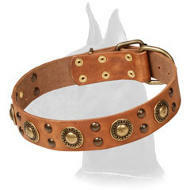 Small rivets keep each piece of the hardware or decorations to prolong their service. 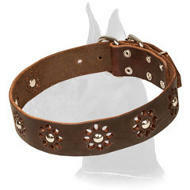 By the way, all the collars are adjustable, and easy-to-put on and off. 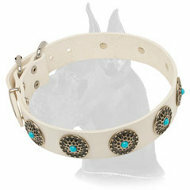 There are various collars decorated with studs and spikes, available in different width and colors.